At Bloomfield & Rolfe we have created a bold and distinctive range of bespoke rubber stamps from detailed hand-drawn images. Personalised with individual details, each item is completely unique, making an item to be treasured. We also offer personalised embossing presses and coordinating hand-printed stationery that can be used with or without our stamps. Designs draw inspiration from 19th and 20th century design, our travels, collections and love of old-fashioned print on the page. 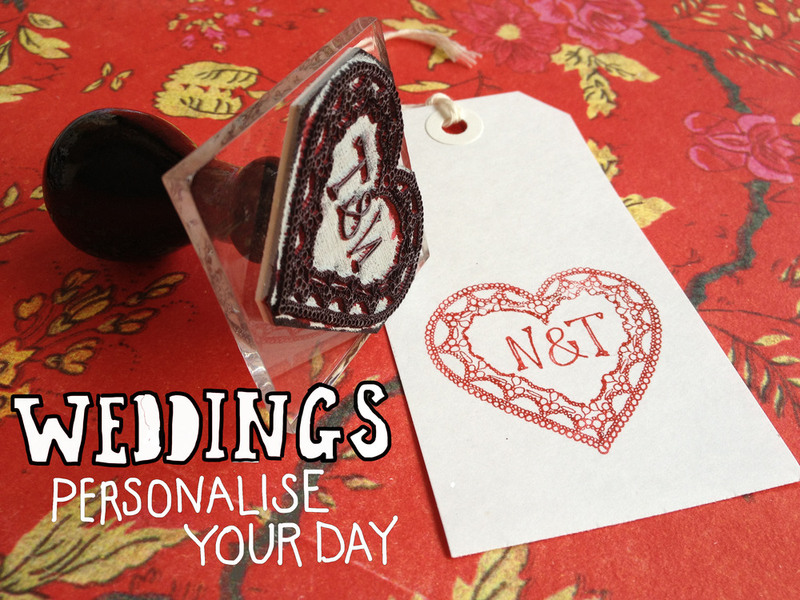 Our personalised rubber stamps are an original and thoughtful gift (for others or just yourself! ), from births and Christenings to birthdays and retirements, not to mention planning your own wedding or personalising your own handmade wares. If you love books, writing letters and beautiful things as much as we do, our stamps are the perfect gift. Artistic Temperament? We've got a simple and fun way for kids to stamp their identity on artworks and other belongings with our Masterpiece stamps. Correspondent? Rampant Royal-Mail-supporting letter-writer? Or just someone who (usually) remembers to send a birthday card. Bloomfield & Rolfe Address Stamps are a perfect gift whatever category you fall into. Bigger-than-average book worm? Why not treat someone special to a Bespoke Bookplate designed especially for them. Budding book collector? Kids love our personalised Ex Libris stamps which encourage them to build their own libraries and become life-long readers. Visit Bloomfield & Rolfe's profile on Pinterest.